In Gary Craig’s retirement blog post he said there are two things about EFT “What it does and Where it points” and that surrogate tapping is leading us to Where it points. When I first found EFT, the tapping itself was weird enough for me and the idea that you could tap on your own face and something would change for someone else at a distance was just too woo-woo. However for the last few years I have been intrigued by experiences and stories of distant work. My first experience was when a passenger in heavy rush hour traffic in the centre of Manchester and my friend Masha who was driving complained of a 10/10 headache like a vice. Almost as a joke I started tapping on myself whilst she concentrated on navigating the crowded narrow streets. To the amazement of both of us her headache eased to a 6 then a 2 and then she forget it had ever been there. Later I designed a group exercise to teach EFT Practitioners how to work with groups and deliver the borrowing benefits instructions. To illustrate that it does not matter who we borrow benefits from or how unrelated their problem, I had a member of the group role play their pet whist we all tapped along. My expectation that anything would change for the pet was close to zero. However if you read ‘Two Cats and a Puppy’ you can read the full story of Oscar the cat and how the tremor in his tail disappeared. These tapping circles with animal role play continued and a succession of animals changed their behaviour. From this and with my colleague Heather Smiles who does marvellous work tapping for horses, we developed a three phase protocol for surrogate tapping using animals as our teachers. The three phases we call ‘talk about’, ‘talk to’ and ‘talk as’ and we teach these in our EFT for Animals workshops and you can hear me describe them in this free audio [link to Tiki interview]. 1. Get yourself out of the way. Work first on your own stuff about wanting or needing change in the other. You have to simply get out of the way and let healing flow through you. This is not about your agenda. You are not out to ‘fix’ someone. You are simply offering healing that they can accept or not. Think of it as a means of loosening an energetic stuckness around the person. Be unattached to the outcome. When that stuck energy starts to move the change will be how they choose to use that for themselves. It may not be the outcome you desire. 2. Allow the words to come to you in a stream of consciousness. Don’t think about it or analyse. What comes may surprise you or be unexpected, that’s ok and if you feel like you are making it up then that is ok too. Let yourself pretend. 3. Do not lead or use positive suggestion or over optimistic reframes. Stick to simple EFT, being specific and cleaning up all aspects. With animals the times it has not worked is when there has been direct suggestion of change – leading. Try to find or imagine earlier events, in what context would this behaviour or emotion make sense. 5. Don’t go to the first person ‘talk as’ tapping unless you intuitively feel an open door, an energetic permission. Trust your intuition. And don’t worry if that door feels closed just continue with the ‘talk about’ and ‘talk to’ tapping, that is often sufficient. If you efforts are perceived as unwanted or you are working to your own agenda at best you will get nowhere at worst you may get an energetic kick back. 7. Find someone to partner you. It’s a good idea to do surrogate tapping together with a partner and this is how we teach it in the workshops. One of you manages the content by telling the story or role playing. 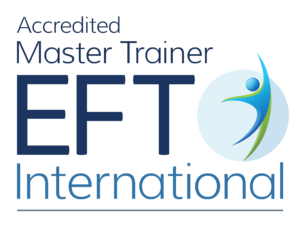 The other of you manages the EFT process by asking simple questions, identifying aspects, testing and keeping the flow going.